I’m used to getting phone calls in the middle of the night, like firefighters, doctors and priests. But the calls I receive aren’t to put out a blaze, perform an emergency C-section or administer last rites to the dying. When my phone rings at 2:00 a.m., I know it’s regarding one of my children. Not my biological children, but those that I come to know in my work as a social worker with the Cedar City, Iowa, Department of Human Services. The late-night calls mostly bring news of violent domestic disputes when a child needs to be removed from the home for his or her safety. They are depressingly similar and rarely have positive outcomes: a father on a drunken binge could mean cracked ribs and broken bones, unsupervised children with access to lighters equal third-degree burns, a marital spat can turn into a gunshot wound to the head or knife wounds. All leave the children traumatized from the horror they have witnessed and reeling from being torn from the life they have known, no matter how dysfunctional and damaging. So I’m not surprised when my cell phone on my bedside table shrills loudly. Though I’m still half-asleep, my hand automatically grabs to answer it before it can ring again and wake Adam, who is next to me, or my three children, who are fast asleep down the hall. “Hello,” I grunt into the phone. “Ellen,” comes a gruff voice from the other end. I push the sheets and blankets aside and swing my legs over the side of the bed. “Joe?” I ask in confusion. It’s not Caren Regis, my supervisor at DHS, but Joe Gaddey, a detective with the Cedar City Police Department and one of my best friends. “Sorry to wake you up,” he says. His voice is tense but not at all apologetic. “What time is it?” I ask, squinting at the clock next to Adam’s side of the bed, but I can’t decipher the numbers. “One-thirty. Listen, we’ve got a situation here at Singer.” Singer is a four-acre green space punctuated with sculptures purchased and donated by Medwyn Singer, a wealthy Cedar City businessman. Twenty unusual and striking sculptures of various sizes and subjects once populated the park, attracting families and tourists, but during the floods of ’93 water covered 1,300 city blocks, and Singer was submerged at one point under twenty-three feet of water, destroying several of the sculptures and much of downtown Cedar City. Despite efforts to refurbish the park, Singer never returned to its earlier glory, now attracting more unsavory types than families. “What’s going on?” Moving slowly, trying to stay as quiet as possible, I creep from my bedroom into the hallway, pausing to peek into first Leah’s then Lucas’s room. They are both sleeping soundly. “We’ve got a DOA in the park. Beneath the statue of the lady with the two kids,” Joe says, and I freeze. When the body of a woman is discovered in a local park, veteran social worker Ellen Moore is called in to assist in the investigation. Police found the woman beneath the statue of Leto, goddess of motherhood, with her bewildered four-year-old son sitting beside her. And it isn’t long before Ellen connects the case to a similar one from a decade past. Ellen’s professional duty is to protect the child, but she’s not equipped to contend with a killer. As she races to connect the dots, she knows her time is running out. And the stakes are high: If she fails, another mother is sure to make the ultimate sacrifice. 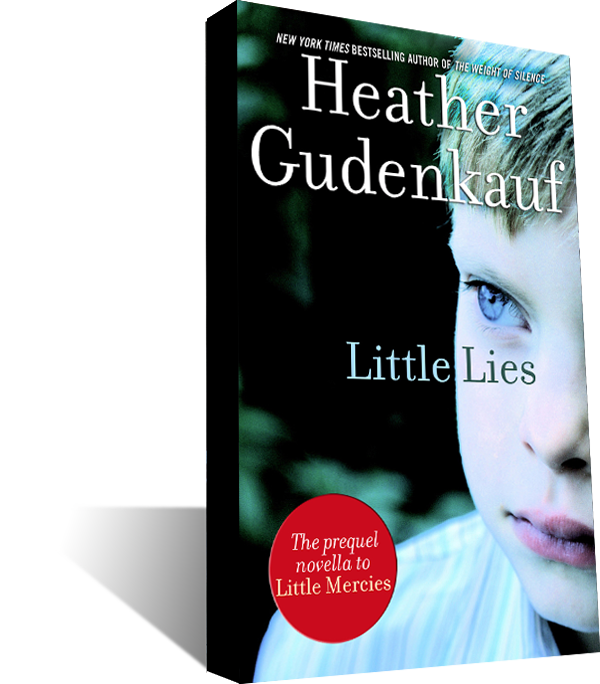 Listen to a Little Lies audio link here.